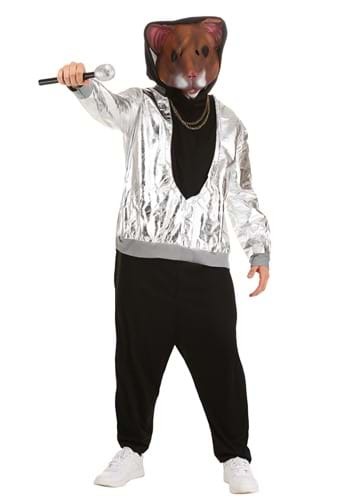 Hip Hop Hamsta Costume By: Forum Novelties, Inc for the 2015 Costume season. Most hamsters just run around on wheels all day long. Others drive cars, listen to hip hip and engage in b-boy dance moves. Which one would you rather be? The choice is pretty clear when you get to wear shiny clothes and do the Dougie when you choose the second option and get this costume. Just make sure you grab some gold jewelry and let everyone know that you're legit.